I love the thought that when Jesus presents us to God, He will do so with exceeding joy! The Amplified Bible describes it as... triumphant joy and exultation [with unspeakable, ecstatic delight]. It will absolutely thrill the heart of Jesus to present us blameless before His Father on the day that we will see Him face to face! We have nothing to fear about our future. 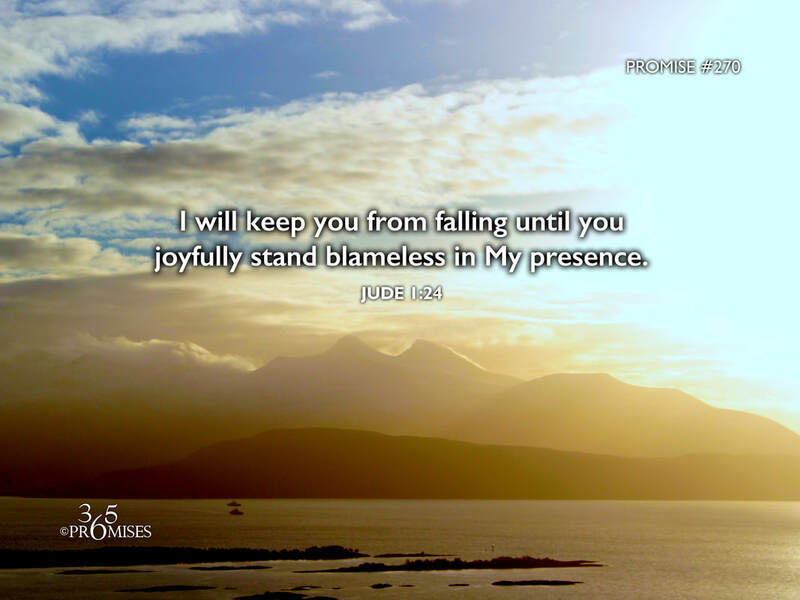 Jesus has promised to be faithful to keep us from falling and will one day present us completely blameless before His Father (and our Father) in triumphant joy with unspeakable, ecstatic delight! Hallelujah!!!!! !